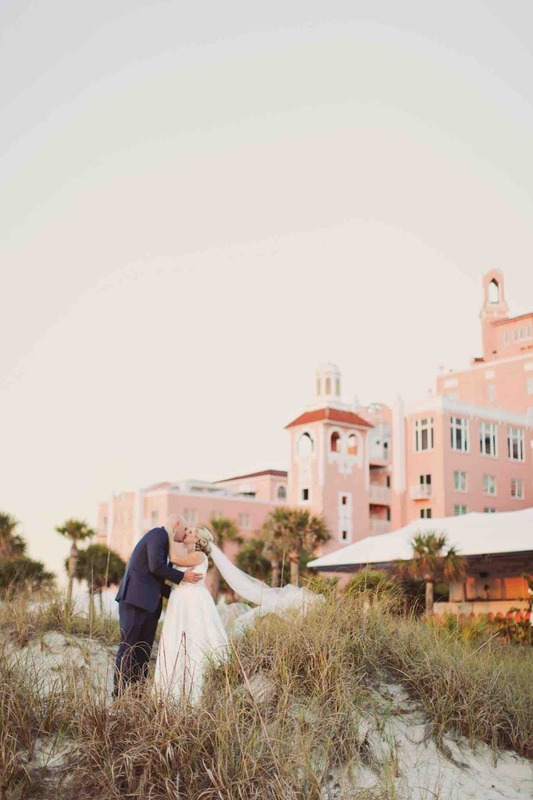 Don CeSar Wedding Sophisticated Blush and Gold - A Chair Affair, Inc.
Loren and Tom’s blush and gold Don CeSar wedding was so beautiful, it will leave you in awe! These two married just a couple of days before Valentine’s Day, and romance was definitely in the air. Photography by Avery stood by to capture every detail as our bride Loren began her walk down the aisle, looking pretty as a picture in her dress from The Dressing Room. Tom, on the other hand, complemented her well in a navy suit. 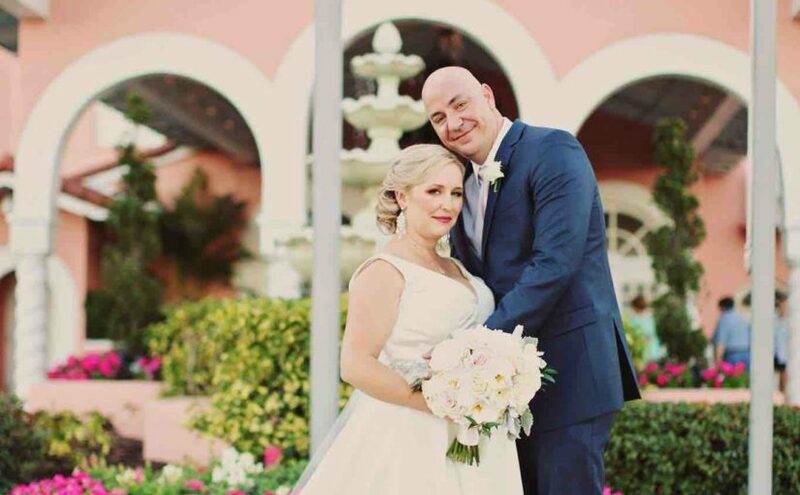 They made an adorable couple as they stood together in the courtyard, exchanging vows beneath a floral arch. As lovely as the ceremony was, the indoor reception was even more stunning! Everyone’s eyes lit up as they entered the grand ballroom of the Don CeSar, taking in the chandeliers and the soft, warm lighting. Gold accents throughout the décor made the room appear to glow. 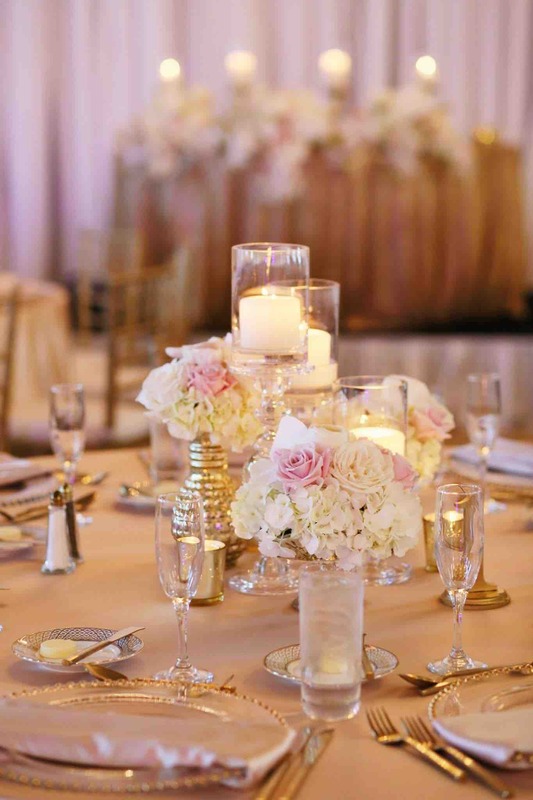 Our Gold Belmont chargers and gold Baroque flatware gleamed on the tables, pairing well with the lush floral arrangements in tones of cream, peach, and blush. 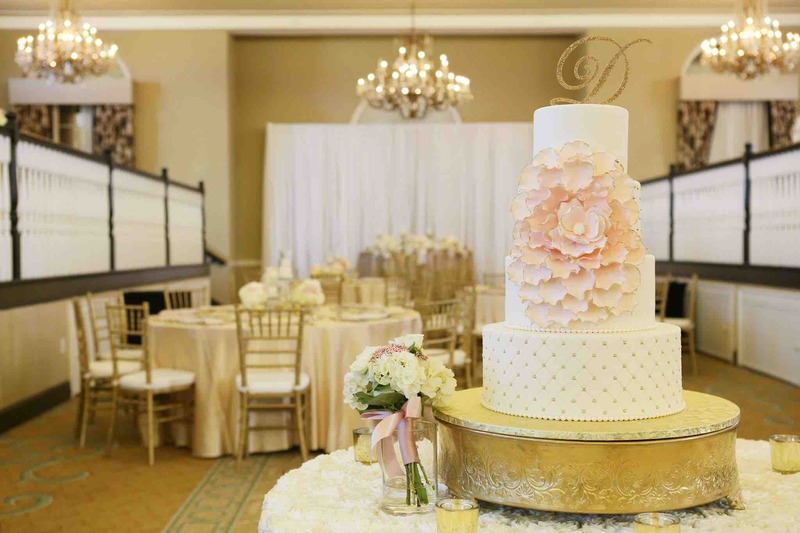 For a bit of extra elegance, we added our gold Chiavari chairs – a classic favorite. The time flew by as our newlyweds and their guests danced to live music, making the most of the evening. 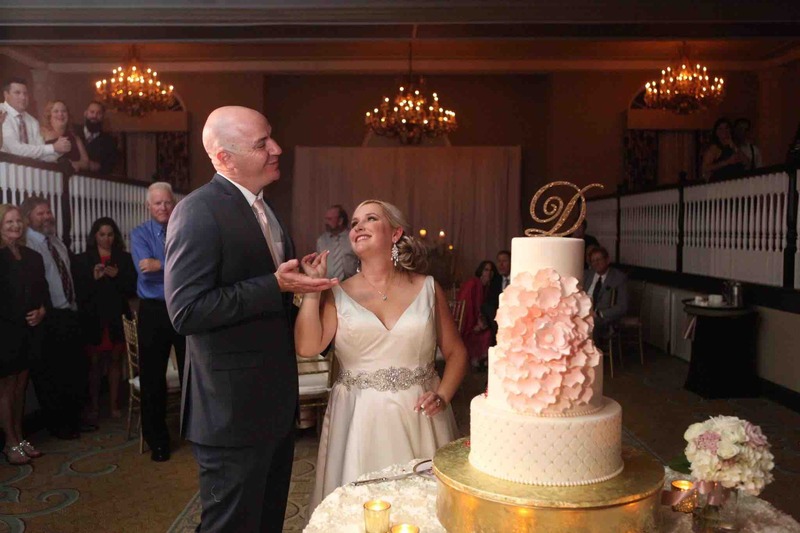 As with all good things, this sophisticated blush and gold Don CeSar wedding eventually came to an end, and we had to say farewell to the new Mr. and Mrs.
Congratulations again, Loren and Tom! We were honored to provide your wedding rentals!